PP Box Strap Extrusion Plants are manufactured by using quality Gear Box, Screw & Barrel, specially designed Die and Embossing Rolls etc. according to the specific requirement of every Customer to provide quality Straps in different dimensions as per customer requirement at minimum Electric Powerconsumption. Available in different Models depends on Production capacity. We can supply Box Strap Extrusion Plant with on line Printing facilities as per customer requirements. PP/HDPE Monofilament Yarn Plant, Dun Line Plant, PP/HDPE Tape Plant, PP Box Strap Plant, Baler Twine Plant, PP Sutali Plant, Plastic Waste Recycling Plant, Multi Spindle Bobbin Winder having Individual control system. Inflow Twister with Cheese Winding/Cross Wound Package, Ply Yarn Twister. Raw Material Feeding Bobbins etc. 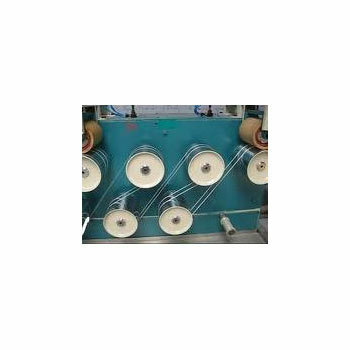 High Speed Rope Making Machines for Rope dia.2 mm To 32 mm in 3 Ply (3 Strand) & 4 Ply (4 Strand) in different Models. Specally designed Stranding & Closing ( Bunch & Closer ) Type Rope Making Machines are for Rope dia.16 mm To 60 mm. Rop Coiling Machines in different Models for Rope dia.2 mm to 60 mm. The Company is having a team of Qualified & Experienced Engineers, Designers and Technicians who are continuously engaged in developing and adopting latest technologies with it?s Machineries.